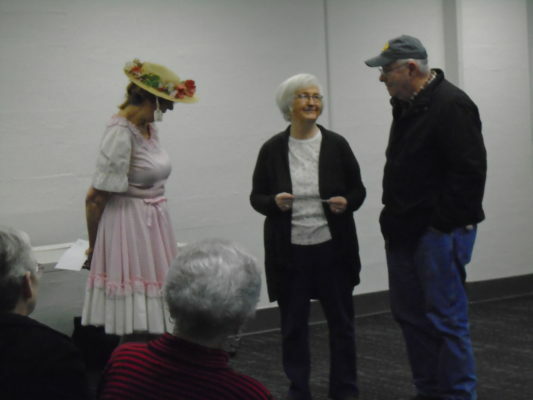 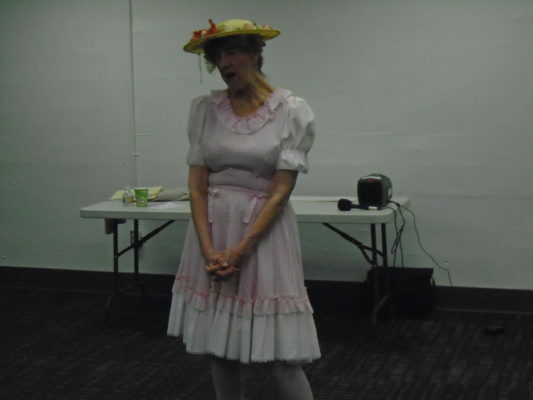 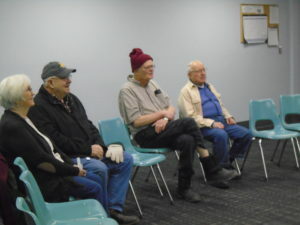 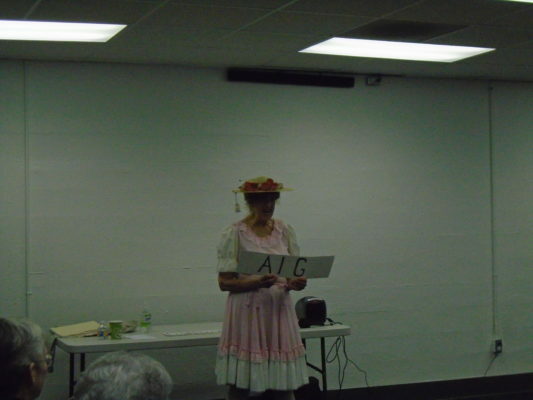 Storyteller, Carol Watkins, entertained Sedalia patrons as “Minnie Pearl” on Friday, January 25th. 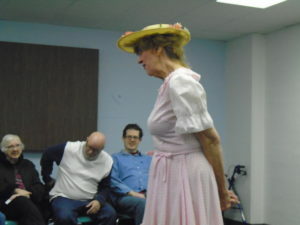 Miss Minnie was quite a hoot and holler! 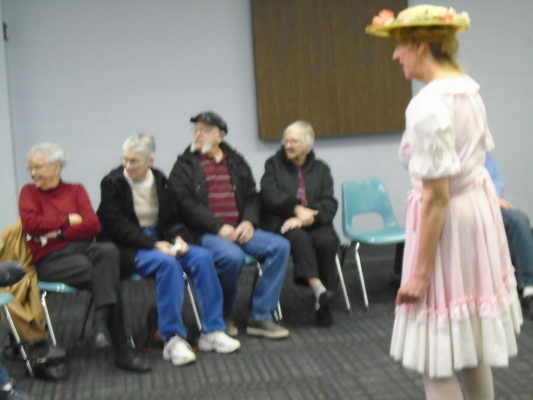 The audience fully enjoyed her presentation. 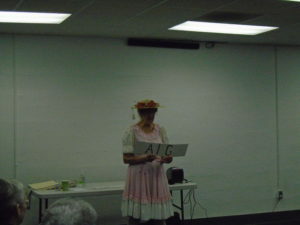 Previous story DIY auto repair with Chilton Online!